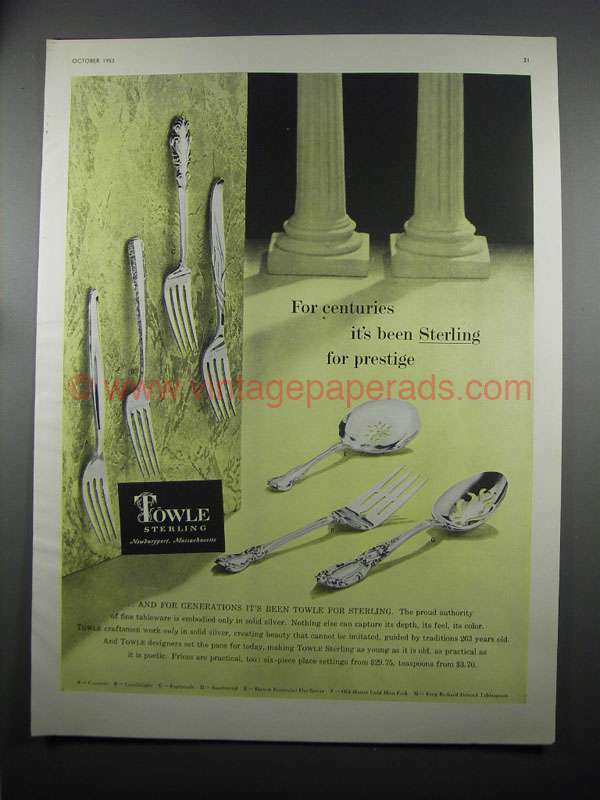 This is a 1953 ad for a Towle Sterling Silverware: Contour, Candlelight, Esplande, Southwind, French Provincial Flat Server, Old Master Cold Meat Fork and King Richard Pierced Tablespoon! The size of the ad is approximately 9.5x12.5inches. The caption for this ad is 'For centuries it's been Sterling for prestige' The ad is in good overall condition, with some light wrinkling. This vintage ad would look great framed and displayed! Add it to your collection today!